Denise Blanco (Warburton) age 81, died on 15 January 2019, at West View Nursing and Rehabilitation Center, West Warwick. Wife of the late Joseph Blanco Jr. They had been married for forty-eight years. Born in Providence, Denise was the daughter of the late James J. and Alice G. (Sullivan) Warburton. She lived in the Edgewood section of Cranston before moving to Warwick. Denise was a member of St. Timothy’s Parish in Warwick and former member of St. Paul’s Parish in Cranston. A graduate of the former St. Xavier’s Academy in Providence, Denise also graduated from Salve Regina College (now University) in Newport, and did post-graduate studies at Rhode Island College and, also, the University of Rhode Island. Denise was a former teacher in the Warwick School System and, also, for the Catholic Diocese of Providence. Prior to her retirement, she was the Director of Religious Education for 14 years at Our Lady of Mercy Parish in East Greenwich. Formerly, Denise was an Adjunct Professor of Education for the University of Rhode Island and Rhode Island College. Denise also was the Director of Buildings and Grounds for the former Family Outreach Center in Providence. She was a past member, and Vice President of the Warwick Education Association and Instrumental in writing the first Teachers’ Contract in Warwick. Denise served on the Board of the Rhode Island Education Association, and was a Rhode Island Representative to the National Education Association. She was a member and past President of St. Paul’s Catholic Women’s Club and, also, St. Paul’s Home-School Association. 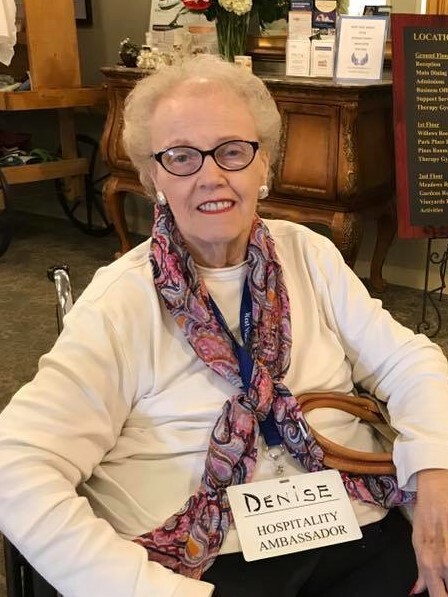 At West View Nursing, Denise was known as the Hospitality Ambassador and, also, Vice-President of the Residents’ Council. Denise enjoyed spending time with her family and socializing with her friends. Denise was the very proud mother of her three sons: Jeffrey S. Blanco of Warwick, James J. and his companion, Fernanda Lima, Pomfret, CT. and Keith E. and his wife Lisa (Testa) of Warwick. Also four beloved grandchildren: James R. Blanco of Cranston, Nicole B. Cross and her husband Dylan of Salida, CO., Tiffany E. Blanco and Lila M. Blanco of Warwick, and one great-grandchild, Mia N. Blanco of Cranston. Denise also leaves a brother, James J. Warburton Jr. and his wife, Doris, of Warwick, and several nieces, nephews, and cousins. A celebration of life service will be held Friday at 7PM in the Jones Walton-Sheridan Funeral Home 1895 Broad Street Cranston, RI 02905. Calling hours Friday prior to service from 4-7PM. Burial will be private at the request of the family. In lieu of flowers donations may be made to St. Timothy Church, 1799 Warwick avenue, Warwick, RI 02889.